1. The operator of the impact crusher is not responsible. Confirmation method: Check whether there is a relevant assessment system in the operation area, as long as it is an assessment system for operators after the iron is over. Conclusion: After the examination, no relevant assessment system was found. 2. No use of iron removal equipment. Confirmation method: Go to the operation post to find out if there is a de-ironing device. Conclusion: After inspection of the impact crusher, no relevant iron removal facilities were found. 3. Insufficient light on the work site. Confirmation method: Check the lighting situation at the working site of the impact crusher. Conclusion: After inspection, it was found that the lighting was sufficient to see the iron and ore.
4. The belt speed is too fast. Through the inspection of the impact crusher belt modification program and the on-site investigation, it was found that the belt speeds of both belts were all greater than 3 m/s. 5. 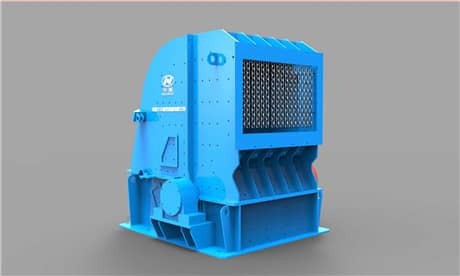 Installation method: Go to the equipment installation workshop and check that the equipment installation base level is less than or equal to ±1 mm, and the ring jump is about 0.05, indicating that the impact crusher equipment installation has met the manufacturer's requirements. Conclusion: Equipment installation has met the requirements. 6. The equipment is not screened and protected. After inspection at the job site, it is found that the feeding port of the medium and fine crushing equipment is not screened. Conclusion: The device is not screened. 7. There are many scrap iron in the mine. From March 2010 to February 2011, after investigation and statistics, there was less waste iron in the mine. The content of scrap iron in the ore supply was 3%-5% per ton of ore, not more than 5%. Conclusion: There is less waste iron in the mine, and the iron content of the original ore is not more than 5%. 8. It is necessary to reduce the eighth reason for countering the excessive iron rate of the equipment. The iron release assembly cannot work normally.